Alexandre Lacazette's (£9.4m) first start of the season could have big implications in Fantasy Premier League. The Frenchman was handed the lone striker role for Arsenal's trip to Cardiff City. And he rewarded the decision of manager Unai Emery with a goal and an assist in the 3-2 victory. Lacazette's place in the starting XI meant a change of position for Pierre-Emerick Aubameyang (£10.9m). The Gabon international is owned by 13.4 per cent of FPL managers. But he was moved on to the left wing, having started as a centre-forward in the first three Gameweeks. Despite scoring his first goal of the season, Aubameyang is suffering sales ahead of Gameweek 5. Over 25,000 have transferred him out for the Gunners' trip to Newcastle United. Aubameyang's switch to the left flank also impacted upon Henrikh Mkhitaryan (£7.2m). The Armenian is Arsenal's most popular player and sits in 19.7 per cent of squads. But his run of three successive Gameweek starts came to an end. Mkhitaryan earned only one minute as a substitute, tallying a single point. His absence from Arsenal's first XI has had a major effect on the FPL market. He is the most-sold midfielder in the last 24 hours, earning over 61,000 transfers out. The weekend win promotes investment in Arsenal players for their kind run of upcoming matches. Three of their next four opponents score only two in the Fixture Difficulty Ranking (FDR). 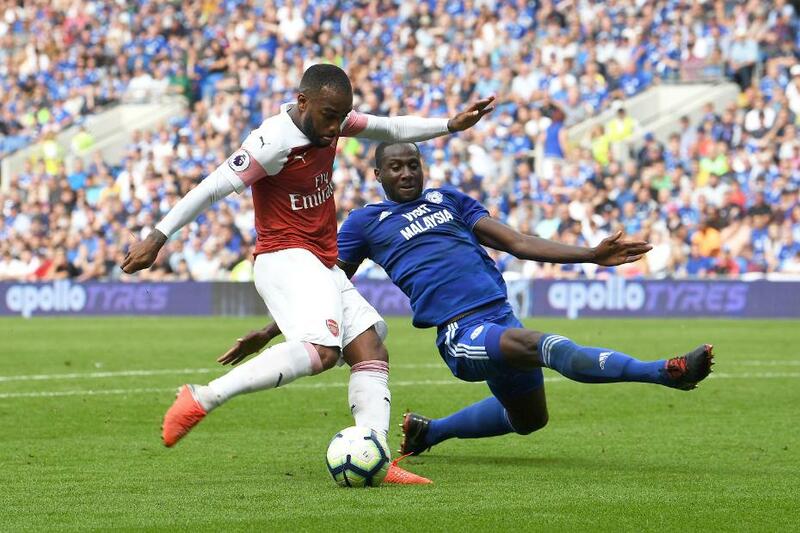 Emery's changes suggest their teamsheets must be monitored, however, with both Lacazette and Aaron Ramsey (£7.4m) emerging as potential targets.